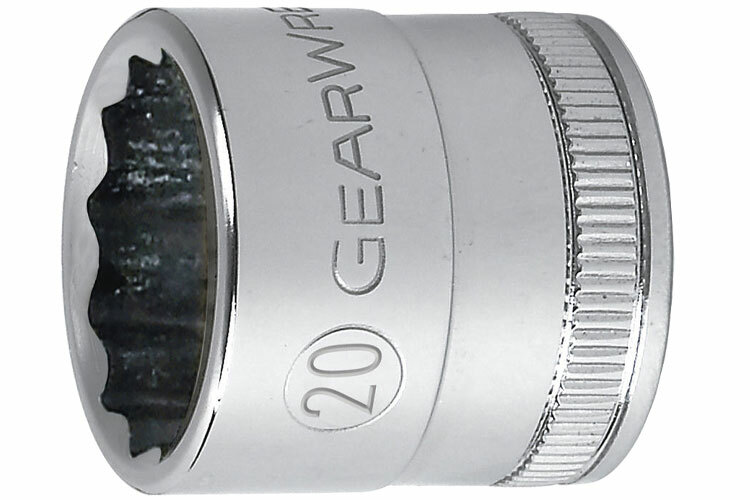 The GearWrench 1/2'' Drive 6 and 12 Point Metric Standard Length Sockets feature Surface Drive Technology that reduces fastener rounding, a chamfered opening to guide the fastener into the socket, and large hard-stamped size identification. Also featured on GearWrench 1/2'' Metric Standard Length Sockets is the double line (SAE) and knurled (Metric) ring to easily identify standard vs. metric sockets, a full polish chrome finish that cleans easily and resists corrosion, and the sockets meet or exceed ASME B107.5M. The 80814D GearWrench 1/2'' Drive 12 Point Metric Standard Length Sockets is one of thousands of quality tooling products available from MRO Tools. 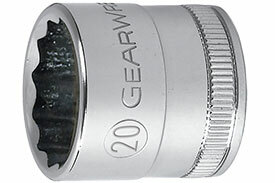 Please browse GearWrench 1/2'' Metric Standard Length Sockets for tools similar to the 80814D GearWrench 1/2'' Drive 12 Point Metric Standard Length Sockets. 80814D GearWrench 1/2'' Drive 12 Point Metric Standard Length Sockets description summary: GearWrench 1/2'' drive 12 point metric standard length sockets. Drive Type: 12 Point Fastener Size: 32mm Drive End: 1.602'' Wrench End: 1.650'' Overall Length: 1.654'' Bolt Clearance: 0.453'' Wrench Depth: 0.965'' Length to Shoulder: 0.748'' Quantity discounts may be available for the 80814D GearWrench 1/2'' Drive 12 Point Metric Standard Length Sockets. Please contact MRO Tools for details.